You’re ready to set up an intranet in your company, or you’ve had one for a while. After thousands of Dollars in investment, months of training and development, you end up with a technologically glorious system…..that nobody uses. Sounds familiar, Google Plus? You hoped your intranet would bring about a productivity and engagement revolution, but as always, reality didn’t meet expectations. Your intranet ended up being a nicely done web page that employees are repeatedly prompted, sometimes even forced to open sometimes and, but it always defaults back to an eerie silence. At this point, you’ve passed through the hype stage and learned to have more realistic expectations. But not everything is lost, right? We have each other. We hope these 10 proven intranets best practices will actually help. Why is a member of the engineering team looking at recruitment policies, and why is a new hire looking at engineering design? The experience of each user should be personalized to include things that will help them get work done, and things that inherently interest them. For example, a new hire should have access to the onboarding process, while members of the engineering team should get a new feed of latest changes in their industry. Here are some examples of how to personalize your employees’ intranet experience. Teams should have access to team chat which includes other members of their team, and they will naturally keep coming back to communicate with team members. Sensory adaptation refers to the fact that we ignore repetitive stimuli. For instance, when you buy new home decor you may appreciate it initially, but you barely notice it afterwards. This happens with intranets too. If you keep your corporate intranet static, employees will gradually ignore it, possibly missing critical content. On the other hand, if you constantly update your intranet content, users will get used to the fact that they should check it frequently to avoid missing something or being out of the loop — an important event, important industry news, a colleague who was recognized, policy changes in the company etc. From a psychological perspective, if you reward the behavior of using your intranet —i.e. always offering something valuable to your employees — the more chances they will keep coming back. It’s called positive reinforcement. If your company constantly holds trainings, meetings or special events, your employees would want to always be up to the date on what’s next. Intranets are a great place to display a live company calendar to make sure you have everyone’s eyeballs in the company. Even for local workgroups, the intranet should provide functionally to handle team scheduling. Every employee is working on one or multiple ongoing processes and projects, making project management software a must for many organizations. In fact, studies suggest that more and more companies are leaving spreadsheets to use proper project management software — and are seeing benefits. Intranets are a great place to allow teams to mange projects and tasks. Workers should be able to log in every morning, and see what tasks are due to them, and what the status of ongoing projects is. Companies create and share a huge flow of documents every day; IT departments check technical documentation; Marketing & Sales teams check reports; the Purchase department reviews vendors and providers, and interns need to access training and onboarding materials. Your intranet should be the destination for all the important information workers need – forms, templates, reports, spreadsheets etc. 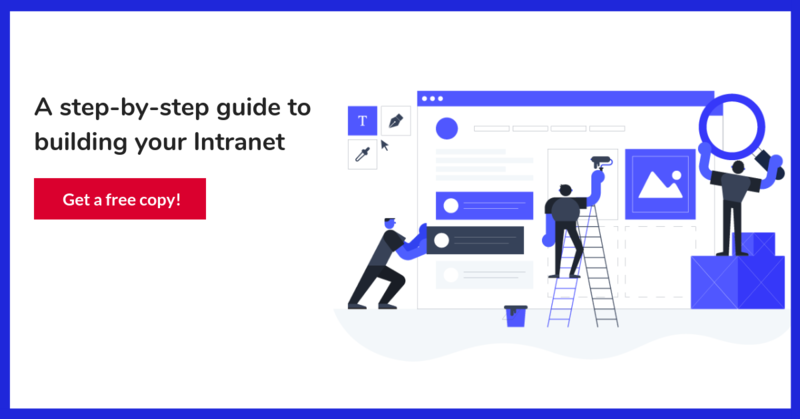 And every time a document is updated or created, it should be added to the intranet, continuously building your company’s knowledge base and helping it mature. Fun is recognized increasingly as a way to keep employees motivated and passionate about what they do. This spirit of “fun” should also pervade the intranet. Not everything has to be about work. Corporate, static intranets are dying, thankfully. Those delightful digital experiences that we are used to in our personal lives now (e.g. Facebook, Instagram, Youtube) can be a part of your intranet too. Platforms like HyperOffice now include “social” features to help engage employees. So start a contest, or let employees engage in friendly banter, post-party pictures, encourage work memes. This will naturally pull people to the intranet. 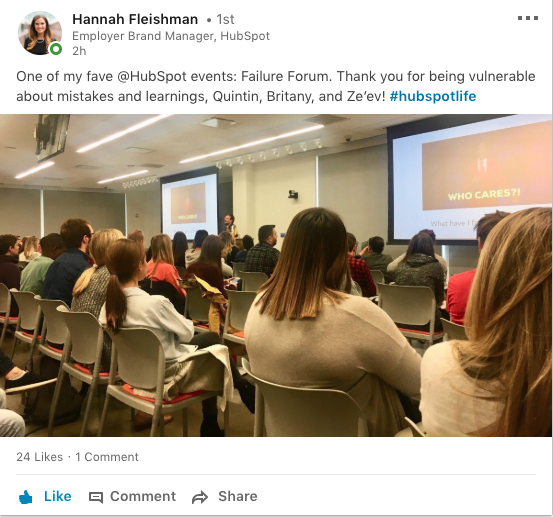 A good example of being social comes from Hubspot: they hold an event where employees can be vulnerable by openly sharing their failures and learnings, fostering psychological safety. You may want users to go beyond simply reading text—you want them to take actions. Whereas it’s filling a form, applying for a contest or new position, give feedback, and the list goes on an on – calls to actions encourage people to engage and participate. The philosophy of do, analyze and improve applies to intranets as well. If you’re not analyzing how employees respond to your content, you’re flying blind. At what time are employees opening the intranet? What content is being consumed and what’s being ignored? What is the average time spent on specific pages? How many times do employees visit the intranet each week? Instant messaging apps are likely to be the ones with the highest engagement. Workers constantly visit instant messaging apps many times a day, and if your intranet houses your company’s instant messaging app, engagement will vastly improve. 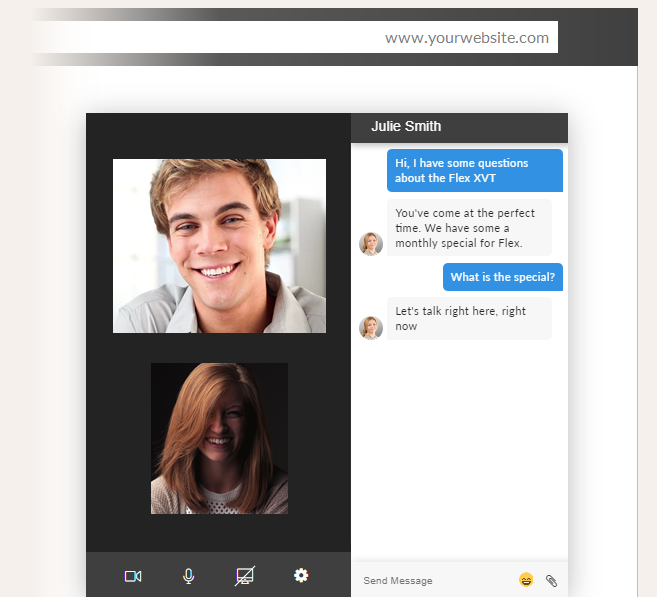 HyperOffice, for instance, lets you integrate its intranet features with uShare.to, a team communication tool that, besides instant messaging, enables video conferences as well. Remote workers, especially, feel isolated. Use your intranet to better integrate your teams.